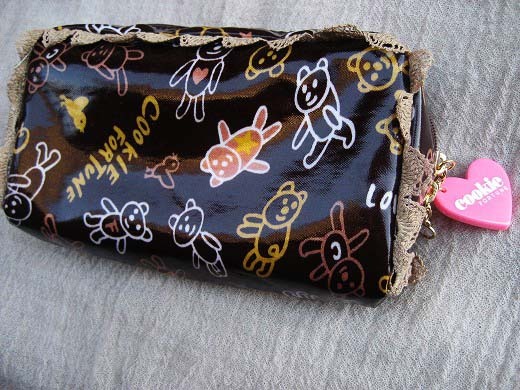 This is a Bear Print Make-up bag from cookie FORTUNE. 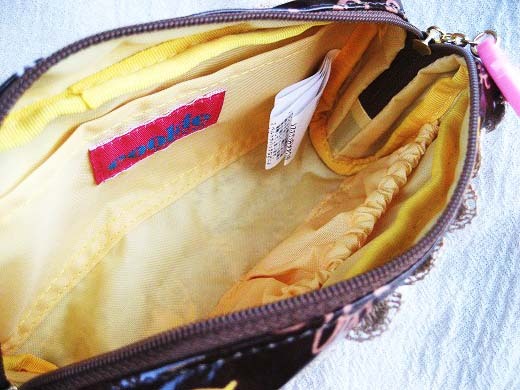 There are some pockets inside of the bag for keeping your makeup essentials safe. 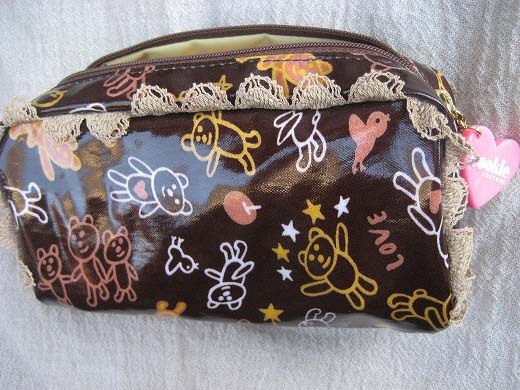 It’s fun to carry the chocolate brown Make-up bag with cute bear print.